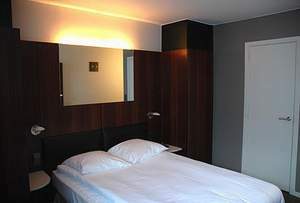 Gosset Hotel, A. Gossetlaan 52, 1702 Groot Bijgaarden, Brussels, Belgium. 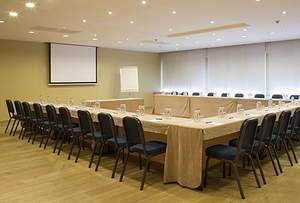 The Gosset Hotel is a three-star hotel, located on the Ring of Brussels. The city centre is barely 10 minutes drive away. 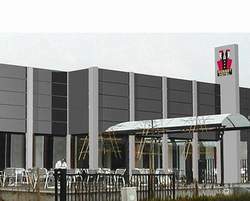 There is an easy connection to the centre, the main stations and the national airport in Zaventem. 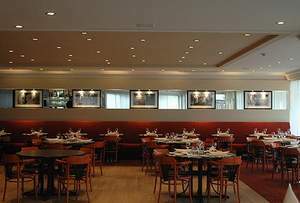 The typically French brasserie style in "brasserie Gosset" and the cosy bar turn this hotel into the perfect location for businessmen in Brussels. 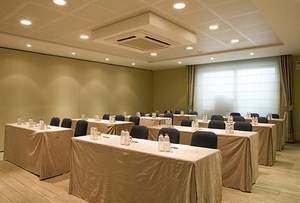 We cordially invite you to discover for yourself the many assets Hotel Gosset has got to offer. 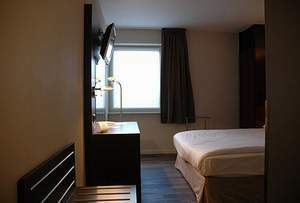 The three-star Hotel Gosset offers 48 single or double bedrooms with bathroom (bath, shower, WC, hair dryer) all of which are intended for non-smokers. 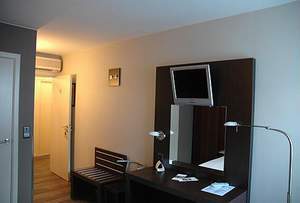 All rooms are fitted with a television and telephone with a direct outside line. 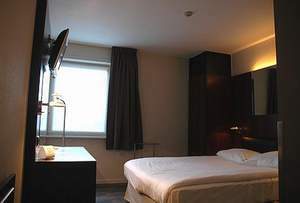 The rooms have double glazing, a well-lit working space and laundry service on weekdays. 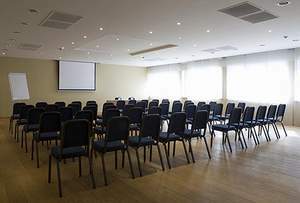 The availability of "Wireless Internet Access" proves that the Gosset Hotel takes the needs of its guests into consideration. 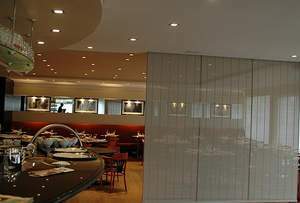 The pleasant ambiance in "brasserie Gosset" offers hotel guests, local clients and business people the opportunity for a tasty, stylish meal or a quick bite. Gosset Hotel experienced, hospitable and bilingual personnel will let you choose between a well-cared for dish of the day or a dish selected from our extensive menu. The impressive bar which is open from 10 AM till 1 AM, is available for the guests who wish to enjoy a nice cup of coffee or a heart-warming pousse-café. On summery days guests can enjoy our well-kept terrace. A light summer breeze may bring all the refreshment wished for. 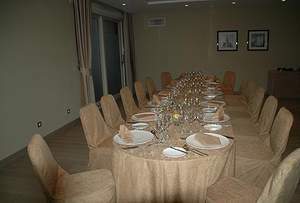 In Gosset Hotel halls it is possible to organise parties for 100 up to 150 persons and receptions for 200 up to 250 persons.